There is a remote area of Dallas, Texas, where heartless dog owners abandon their pets. Most dogs do not survive, they get ill, starve, fight or get killed by cars while they search for food. 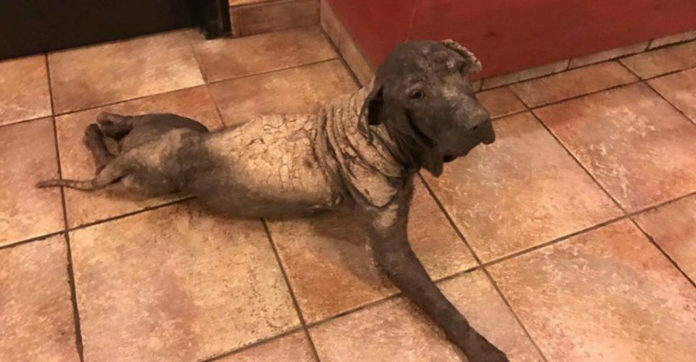 Some rescuers stepped in to help Matteo who had been suffering for a long time. Thursday night, Rescue Dogs Rock NYC said that Matteo was the saddest case they have seen. 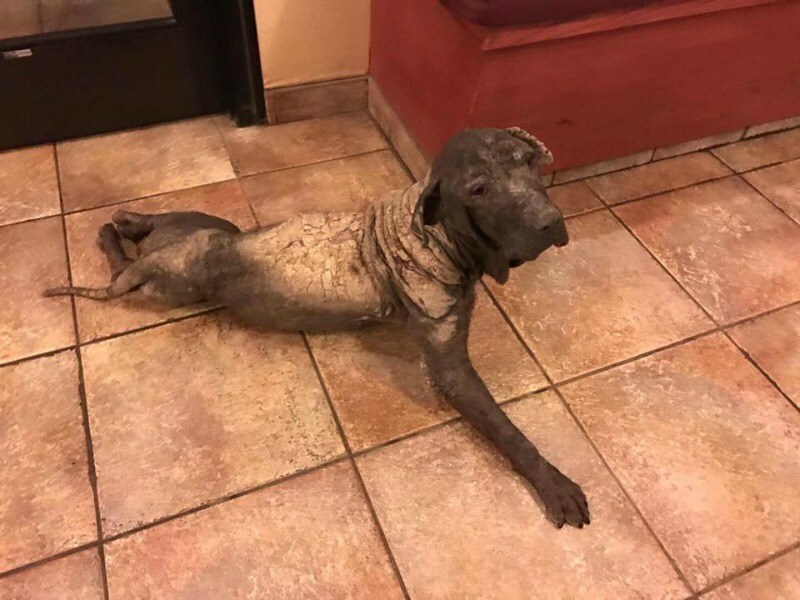 Matteo’s skin is badly cracked, and according to Stacey Silverstein, co-founder of Rescue Dogs Rock NYC, he was on the brink of death. Leslie, a brave volunteer, is being credited with saving Matteo and his friend, Pablo. Early Friday morning, Matteo was taken to a veterinary hospital and given fluids. Matteo’s head is shaking, and he can’t walk. Tests will be done to find out exactly what Matteo needs. All lives count, please consider making a donation to help Matteo and other dogs like him.